Discover our handcrafted vintage vapes. 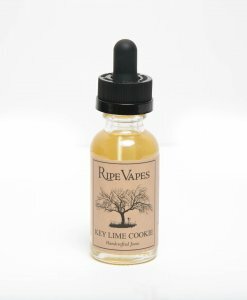 Founded in 2013, Ripe Vapes manufactures a premium line of high quality E-liquid with a popular assortment of exclusive and unique flavors. Headquartered just north of Los Angeles in Ventura County, Ripe Vapes has quickly become one of the top rated E-liquid manufacturers with quality and branding that are second to none. Ripe Vapes won Best of Show at the Las Vegas Vape Summit in 2014 and Best of Show at Vape Summit 2 in Texas. We use only the highest quality pharmaceutical grade ingredients. All of our Handcrafted Joose™ is made from a proprietary blend of 99.7% pure Kosher grade Propylene Glycol and Vegetable Glycerin with natural and artificial flavoring. Most of our Joose flavors are composed of a 25% PG and 75% VG blend.